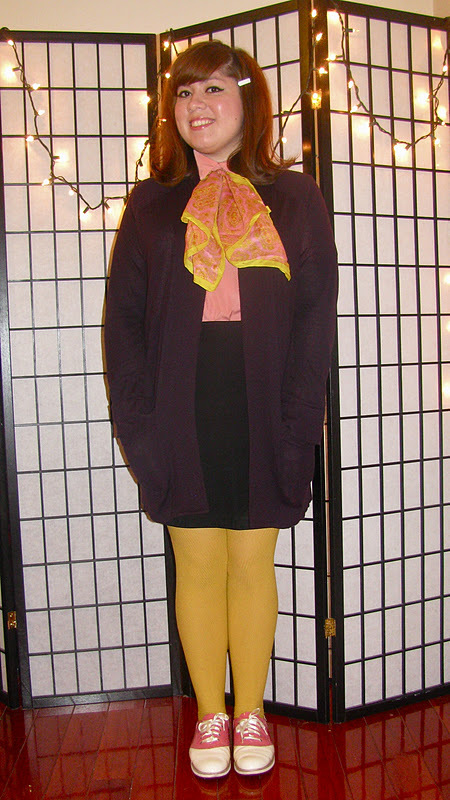 Scarf: Vintage, Sweater: Gap, Tights: Hue, Shoes: Bass Loves Rachel Antonoff, Skirt: Express, Shirt: American Apparall. 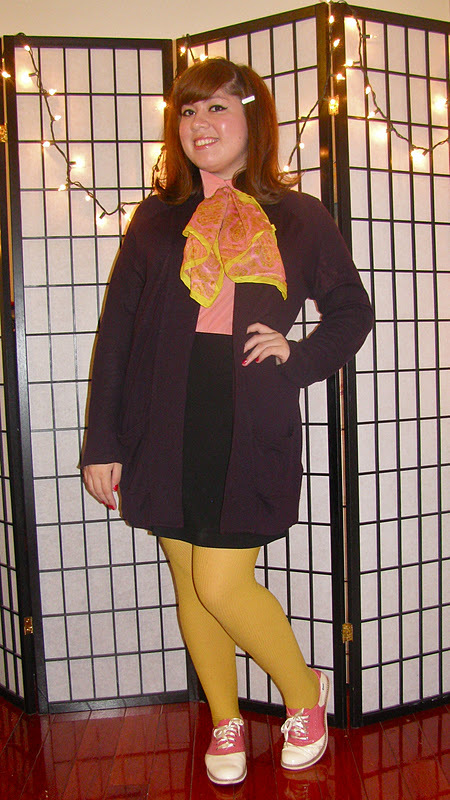 Wow..this is one the few outfits I've worn where almost nothing is vintage. Side note on the beautiful shoes: The front shiny part has cracked open since the few times I've worn them. Usually Bass shoes are amazing, but I was really disappointed in these, which I had splurged on.